Oxbow Academy is excited to announce that we have two former Therapists, Rachelle Hamill and Steve Mondragon, who have returned to work with our families again! Both had personal life events that took them elsewhere for a time, yet we are incredibly excited to welcome them back! We also have a new Academic Director, Cindy Lindsay, who was one of our previous teachers. We really have some All-Star Team Players here at Oxbow! We would like to highlight each of them below. Cindy has played and coached basketball her whole life, which is what she anticipated always doing, yet realized that sometimes life takes you on a different path. A lot of it has to do with her family, and finding a job that was more suitable for her. She has always been able to motivate the youth and enjoys working with them. She is known as a builder and has improved every program in her 20 year tenure. She has been a head and assistant basketball coach at the Division 1 and Junior College levels. She has finished 5th place at the National Junior College Tournament and has been to the NCAA tournament numerous times as a coach and player. She has won region, conference and state championships. Cindy taught college courses at Idaho State University, Ricks College, Brigham Young University, and Snow College. In addition she has spent 4 years teaching Spanish at Manti High School. She initially started teaching Spanish at Oxbow Academy for about two months and then was offered the position as our Academic Director. Academics have always been a priority for her teams. At Snow College her team maintained a team GPA of 3.6 and in High School her senior athletes graduated with a GPA of 3.8 or higher. 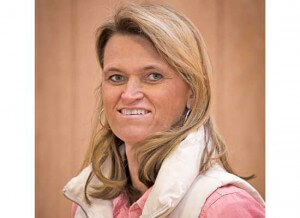 She has improved academic performance by implementing study halls for her student-athletes. In so many ways her coaching experiences mirror the skill sets necessary for this position. As a top recruiter in athletics, she secured some of the top kids in the country. Her student athletes went on to play in the WNBA and other Division 1 programs. In addition to her coaching experience, she has been the marketing director for Snow College athletics and the assistant director for the first security games of Idaho. When Cindy is not involved in being the Academic Director she enjoys spending time with her family, experiencing the fine arts, theatre, sports, being outdoors and reading. She of course loves learning! Bachelors in Exercise and Sport Science from the University of Utah. 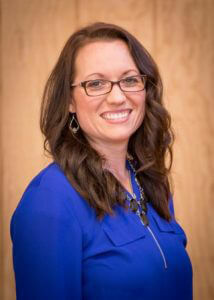 Rachelle graduated from Brigham Young University with a Masters in Social Work. She earned her Bachelor’s degree in Sign Language Interpreting from Idaho State University. She has worked alongside youth since 2004, in various capacities, including as a sign language interpreter, advocate, summer camp counselor, residential and academic staff, and finally therapist. Her clinical experiences range from working with the incarcerated criminally ill to working with clients on an outpatient basis. Rachelle is thrilled to be back working with Oxbow Academy. During her time away she worked for both inpatient and outpatient facilities, ran a home for girls with sexual behavioral problems, and opened a private practice. She returned to Oxbow Academy because of her belief in the team approach – client, family, therapists and other professionals, all engaged in the work of progressing healthy patterns of behavior and healthy relationship attachment. Rachelle has found Oxbow’s team of professionals to be some of the finest, and is happy to be working with them once again. She employs a variety of theoretical models and interventions into her therapeutic practice. Her relationship-driven approach allows her to work closely with her clients and their families to improve relationships, so that they are based on integrity, healthy boundaries, and trust. Rachelle enjoys laughing with family and friends, dancing, working out, being outside and vacationing to Disneyland and the beach. She is an incredible mother, friend and family member often providing support and a listening ear in each of her relationships. 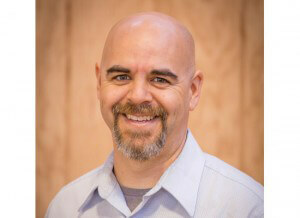 Steve graduated from the University of Utah with a Master’s Degree in Social Work. As part of his education in school, he worked with adolescent boys at a wilderness therapeutic program during his internship. His days “on trail” gave him the opportunity to witness some profound therapeutic changes through the use of wilderness adventure activities. Prior to returning to school, Steve served as a police officer for 12 years. This experience gave Steve valuable insight into the chaos that life can bring. His time as a police officer helped drive his desire to return to school in order to gain the education needed to continue helping others. Like most therapists, Steve’s therapeutic approach cannot be summarized by one theoretical model. The interconnecting thread in his therapeutic approach utilizes the interpersonal process, which assumes that a trusting therapeutic relationship is the basis for change. His warm approach with people often involves a lot of humor, breaking down treatment resistance and building trusting relationships. Through this relationship, Steve empowers his clients to utilize emotional, behavioral, social and relational change techniques to help them achieve treatment goals. Steve borrows his therapeutic style and techniques from cognitive-behavioral, dialectical-behavioral, mindfulness, motivational interviewing, and solution-focused theoretical frameworks. Steve recently returned to Oxbow Academy. He previously worked at Oxbow Academy for a year before taking a job in Salt Lake City as a victim counselor for the Salt Lake County District Attorney’s Office. There he worked with victims of violent crime by preparing them to testify in court against the violent offender. This work was difficult, yet rewarding as he witnessed victims find their power to overcome and be heard. As rewarding as this work was, the travel time kept him away from his family more than he was willing to sacrifice. So, he decided to return to Oxbow, which is equally rewarding to him as he witnesses young boys grow into men. And he gets to spend more time with his family. In his free time, Steve loves to spend time traveling with his wife and three children. His preferred fixations when not traveling with family are fly-fishing and backpacking in the high Uinta Mountains. He also enjoys his motorcycle. When time permits, he enjoys strumming his ukulele and playing the Native American flute.